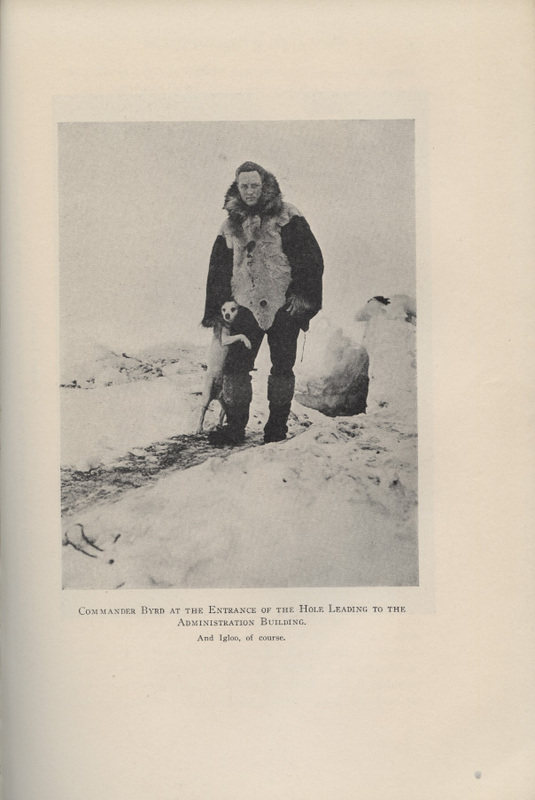 US Navy pilot and Medal of Honor recipient Admiral Richard E. Byrd led several expeditions to Antarctica over approximately 30 years. From 1928-1930 he led the first expedition to reach the South Pole by air. 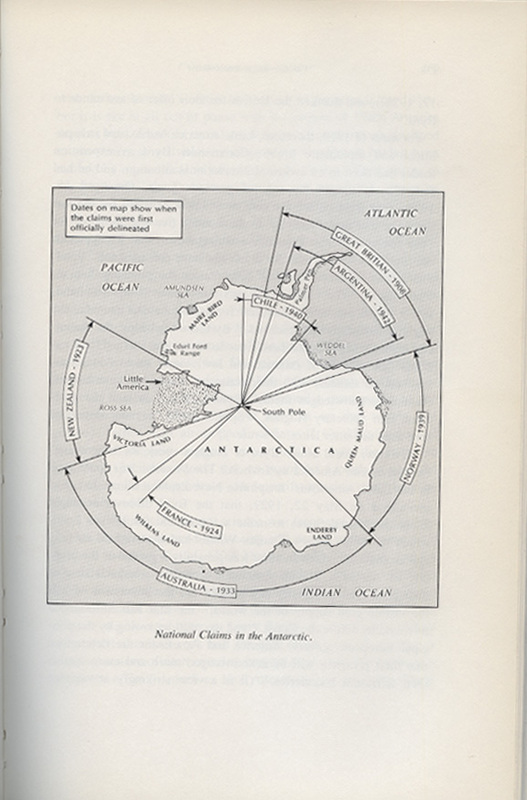 Byrd would return several times, with his third, fourth, and fifth expeditions funded by the US government and supported by US Navy personnel, vessels, and other equipment. 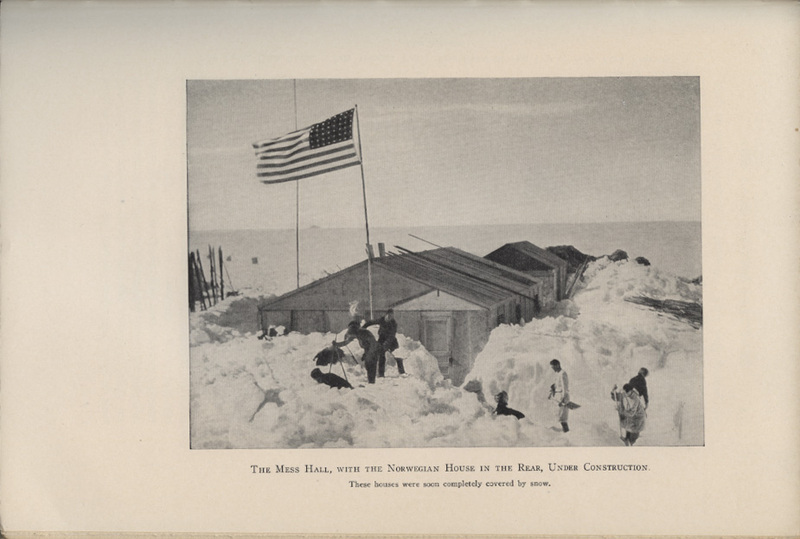 The first expedition established the Little America base camp on the Ross Ice Shelf. 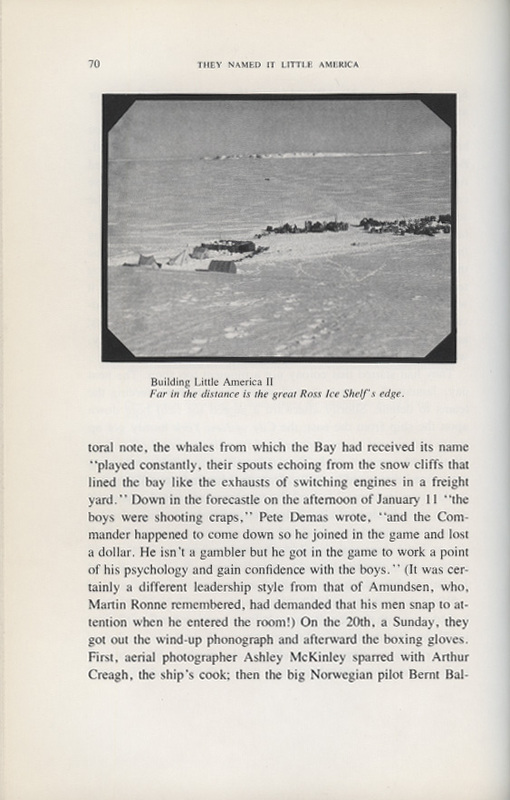 During the 1939-1940 expedition Byrd was recalled to active duty while the rest of his team continued their research. 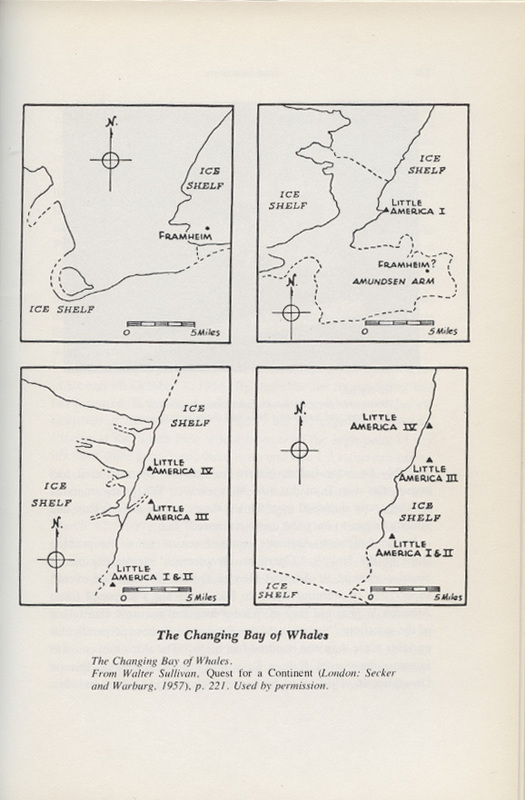 From 1946-1947 Byrd led Operation Highjump, whose primary mission was the establishment of Little America IV, and in 1955-1956 led Operation Deep Freeze, a multi-national science expedition in Antarctica. In all there were five Little America bases from 1929-1987. 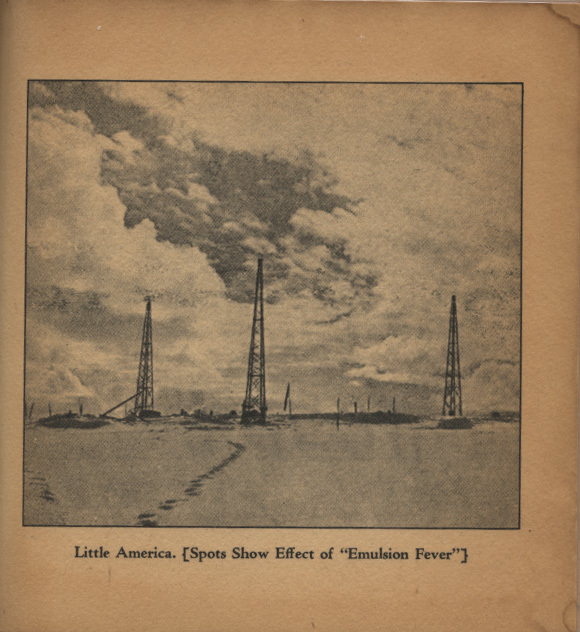 Little America III calved away from the ice shelf ca. 1960 and Little America V was abandoned before it too broke off the ice sheet. To document the first expedition, two Paramount Newsreel cameramen, Joseph Rucker and Willard Vander Veer, travelled with Byrd. 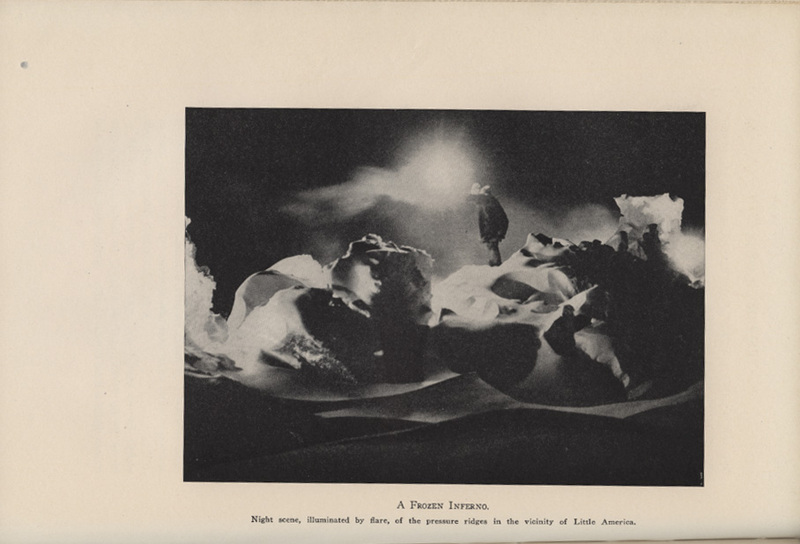 Their documentary film With Byrd at the South Pole won an Academy Award in 1930. 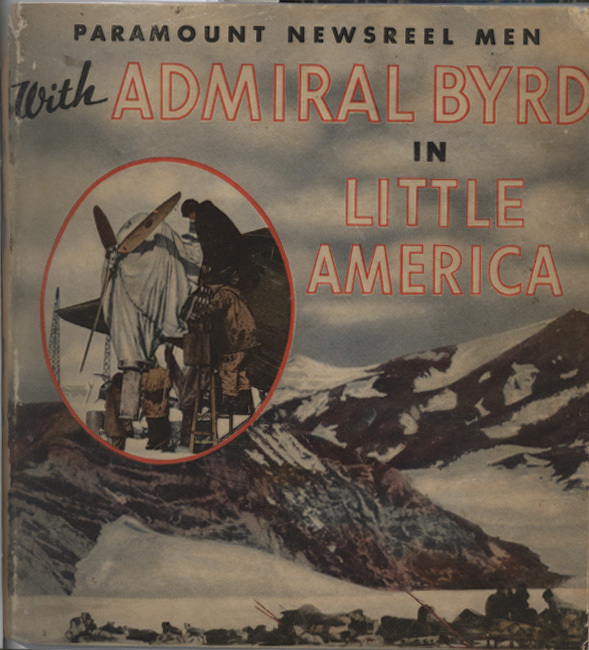 Several of their still images can be found in Paramount Newsreel Men with Admiral Byrd in Little America: The Story of Little America with Pictures by Paramount Newsreel Cameramen and the Story of Their Adventures. 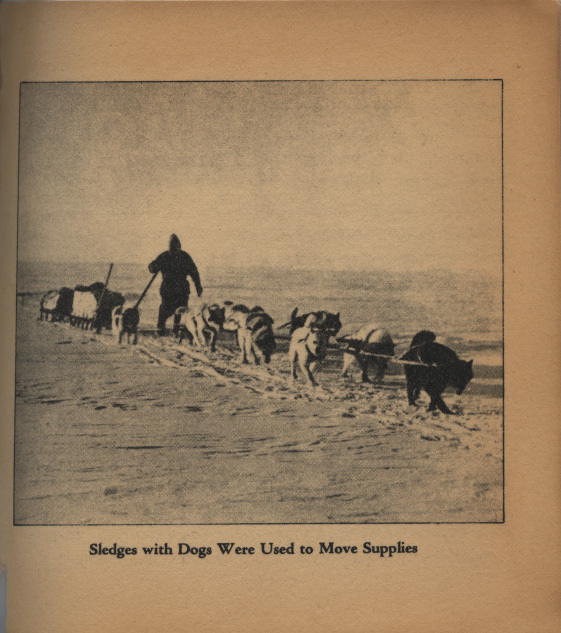 The book includes several images from the expedition, brought to life by lively and sometimes corny anecdotes like their "homemade ice cream" floats and tales of puppies nipping at their heels, harrowing tales of men falling into the sea, and the bitter disappointment of missing the flight to the pole. 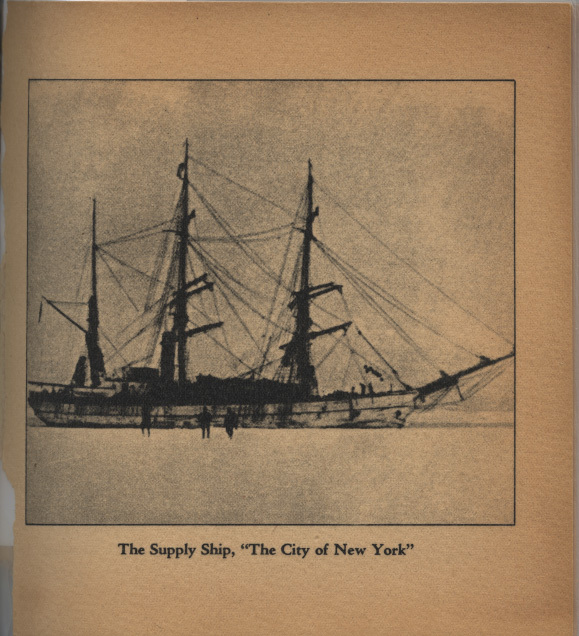 "A quarter of a mile away the Bolling [the ship, Eleanor Bolling] labored heavily in water that rose high enough to hide her from sight, and she seemed to be rolling her sides under with every other roll. The bowsprit of the City [the ship, City of New York] pointed her out like an entreating finger. Now it rose dizzily to the horizon, trembled a moment at the top of flight, then plunged dizzily to the sea, to meet a rush of green water gushing underneath." "Twenty-four hours now will tell the story. Shall we be able to get into the Bay of Whales? Shall we find a low place in the Barrier where we can unload supplies? Our fate turns upon these things. But I am too tired to bother." 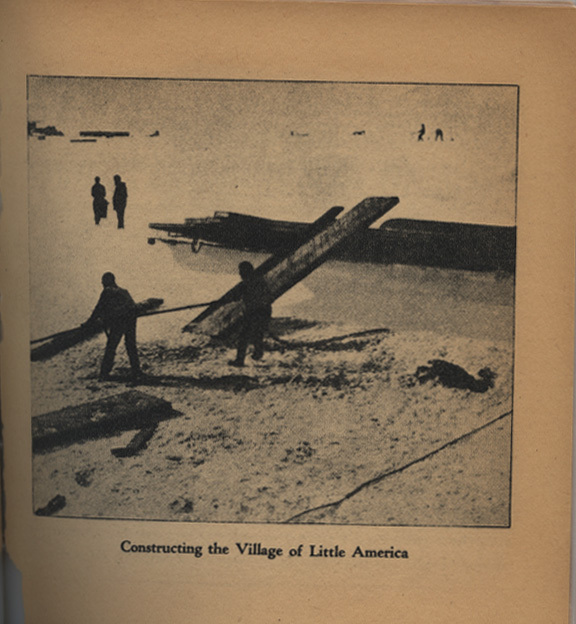 By January 12, following a two-day storm, the expedition had completed Little America’s first structure. 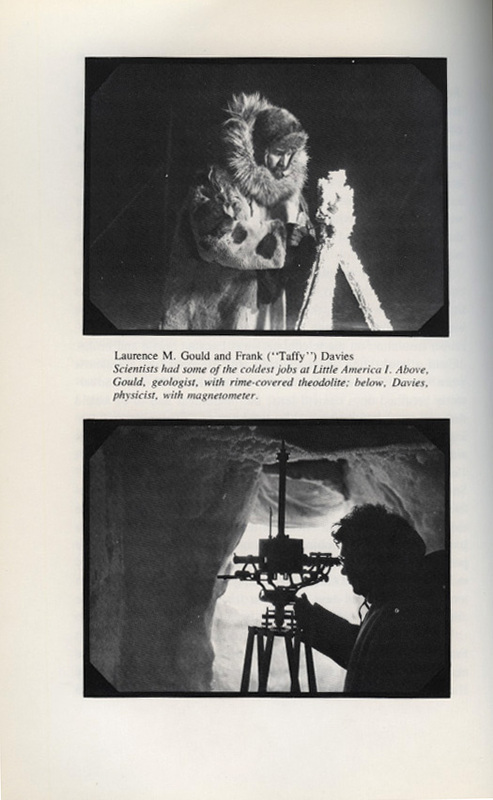 The United States explorations of Antarctica continue to this day. Following the Antarctic Treaty of 1959 scientific endeavor on the continent became significantly more cooperative amongst the twelve nations that signed the original treaty. The number of signatories currently stands at 53.